I have an artwork on loan to the Samuel P. Harn Museum of Art, at the University of Florida, in Gainesville. 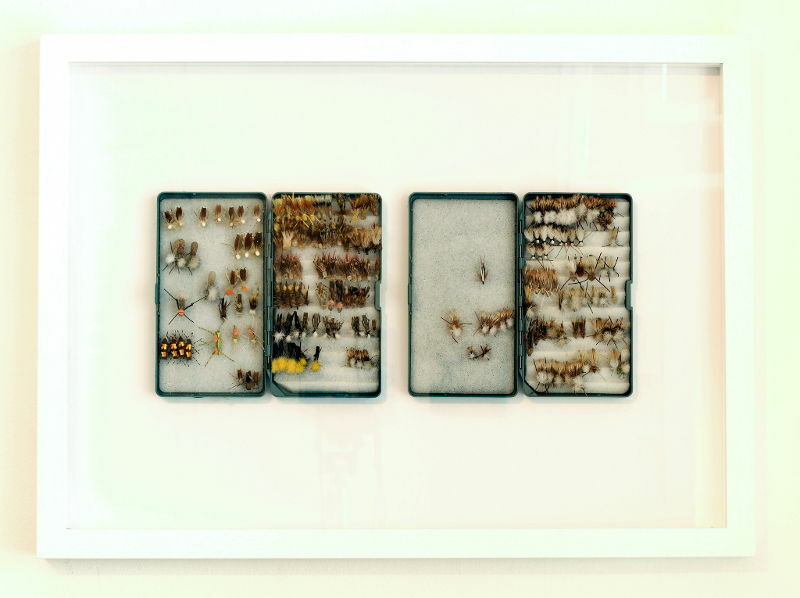 It is part of the exhibition Repurposing the Wunderkammer, itself part of the larger exhibition Art, Technology, and the Natural World featuring work by artists such as Andy Warhol and Olafur Eliasson, which runs until the 26th of July, 2015. GAINESVILLE, FL - The Harn Museum of Art will display photography, prints, sculpture and video by 30 international artists addressing the intersections of biology, technology and art in the new exhibition Art, Technology and the Natural World. Works in the exhibition are organized in diverse installations which include Repurposing the Wunderkammer featuring artists' responses to Renaissance Europe's cabinets of curiosities, and work by famed-artist Andy Warhol who once claimed, "I want to be a machine." Art, Technology and the Natural World will be on display from Aug. 19, 2014 to July 26, 2015. The installation, Repurposing the Wunderkammer, is based on 16th-17th century cabinets of curiosities that contained natural specimens, scientific instruments, ethnographic items, illustrations and art. For this installation, Kim Abeles, Jason Benedict, Mark Dion, Katerie Gladdys, Art Guys, Dana Levy, Tea Makipaa, Sean Miller, Eugene Parnell, Ben Patterson, Softday, Sergio Vega and Andrew Yang have each developed work inspired by the wunderkammer or created contemporary versions of these early museums. Thirty-eight works by Andy Warhol are also on view in the exhibition, seven of which are screenprints recently given to the Harn Museum of Art by The Andy Warhol Foundation for the Visual Arts in October of 2013. The gift included iconic works such as Beethoven, Sitting Bull and the Dollar Sign. The prints date from 1970 to 1989, the last year of his life. The remaining Warhol works are polaroids, also given to the Harn by The Andy Warhol Foundation, but in 2008. Andy Warhol is one of the most legendary and influential figures in contemporary art and culture. 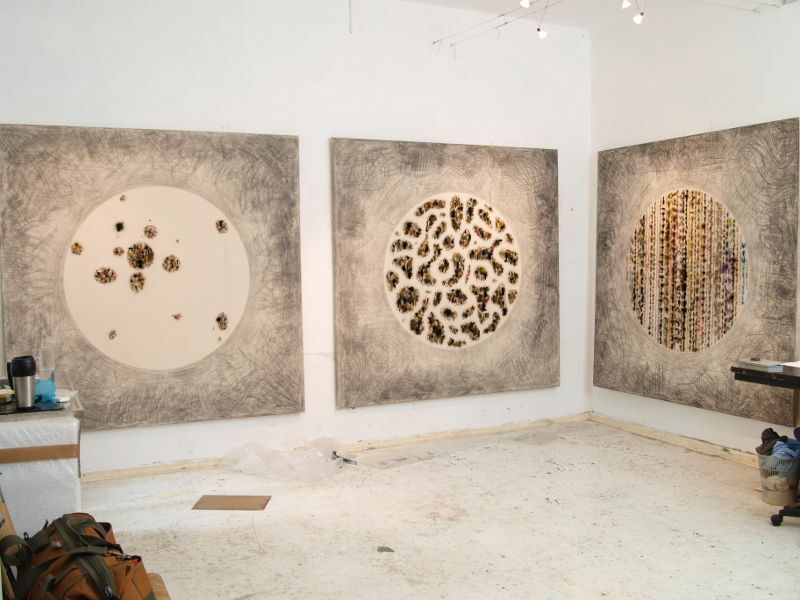 His work celebrates mass media, consumer culture and the technology and techniques of mass production. Additional works in the exhibition include four bronze sculptures depicting figures who are part human, animal and machine by William Kentridge illustrating social and political life in South Africa; and Olafur Eliasson’s Fivefold Sphere Projection Lamp which compels us to view ourselves in relation to space as well as time. Visitors may learn about the exhibition during a gallery talk by Harn Curator of Contemporary Art Kerry Oliver-Smith on Sunday, Sept. 14 at 3 p.m. The exhibition will also be a focus of Museum Nights on Oct. 9 from 6 to 9 p.m. which will highlight the creative works of engineering faculty and students at the University of Florida. This exhibition is made possible by the 150th Anniversary Cultural Plaza endowment. Tomorrow is the opening of the contemporary art exhibition "Metamorphosen", curated by Sina Ness and I. This year the WerkStadt Arts Union was invited by the Berlin-Neukölln office for cultural affairs to participate in their "Laboratory" exhibition series. We have brought together a diverse group of artists and media to fill the Galerie im Saalbau. The exhibition will be up for six weeks so if you are in town for Berlin Art Week please come by and have a look. There are paintings morphing between urban and pastoral, drawings of pregnant mutating forms conjuring an array of associations, imaginary performative shadows drawn with baking flour, an algorithm based soundscape generated from stock indexes and finance minister speeches, a whale skeleton that one can enter to be confronted with your own subconscious, and lasers that dance through the dark ether of space. I will be giving an artist talk about works in progress and my changing practice on Monday, the 5th of December. 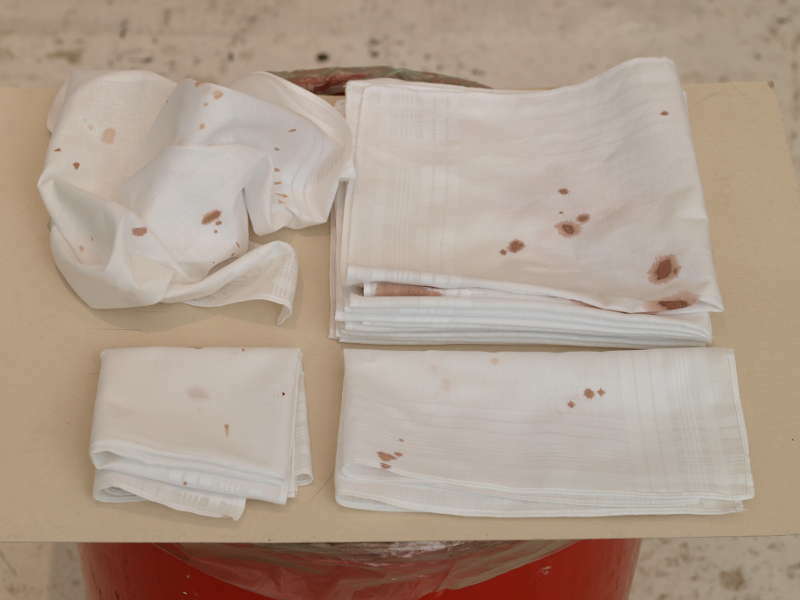 The discussion starts at 8:00 P.M. as part of the 16th installment of Art Clinic at the WerkStadt (Emser Str. 124) along with my colleague and studio-mate Alice Baillaud from France. ART CLINIC is a monthly exchange platform for emerging and professional visual artists of all mediums. It is a space where artists can present their work in an informal setting, which hopes to foster reflection and development of one's own practice through feedback, critique and support. This book is a PhD dissertation for the Freien Universität Berlin, researched at the Fritz-Haber-Institut of the Max-Planck-Gesellschaft. 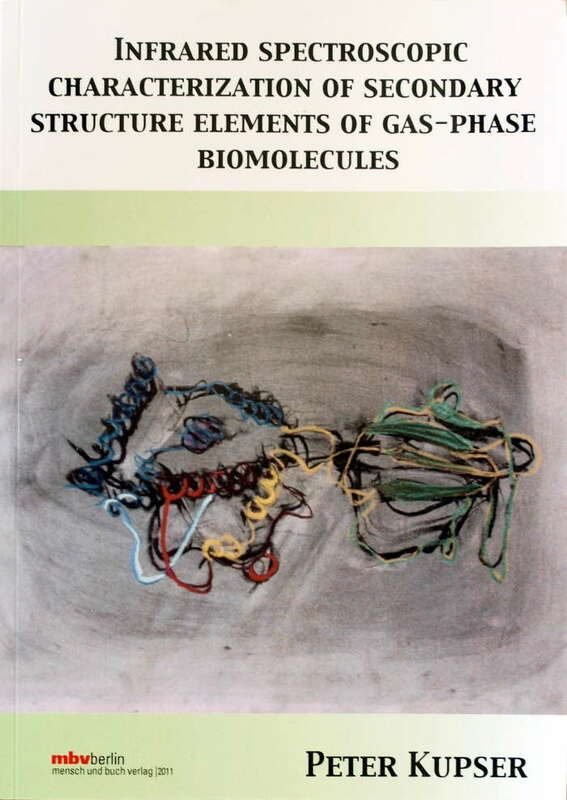 The cover art is a drawing, called simply "Protein", that I made in 2006 when I first came to Berlin and was spending some time looking at the visual aids and models used in scientific texts; specifically those concentrating on a molecular scale where I found ribbon diagrams to be particular fascinating to describe structures in their most minute scale. The charcoal and pastel drawing coincidentally relates closely to the topics explored in the dissertation. I think the snappy title of the book says it all. Carle Foundation Hospital Research Institute in Urbana, Illinois, U.S.A. 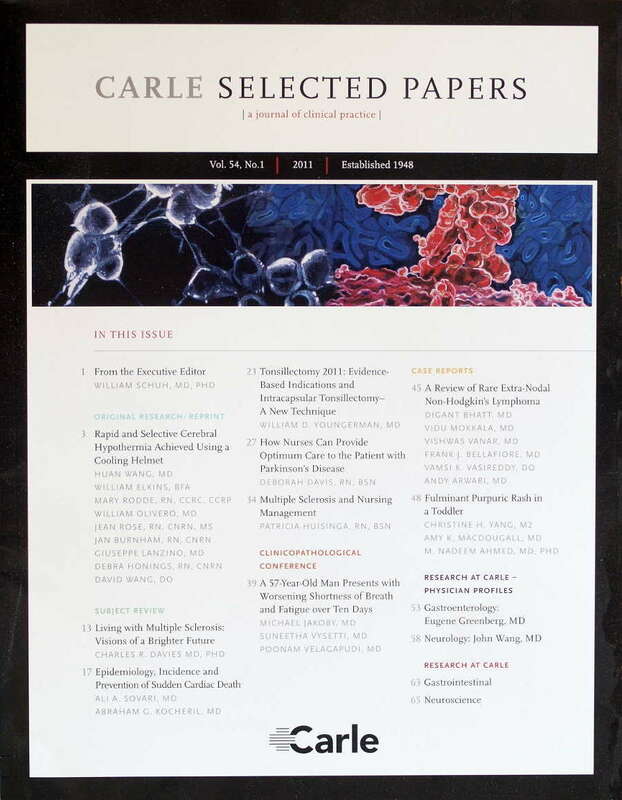 This issue of the bi-annual medical journal has, as well as research articles, subject reviews and case reports; research physician profiles in Neurology and Gastroenterology. The cover images are a montage of two paintings of mine: some flashing neurons and a arching batch of e-coli bacteria. They found me here in cyberspace and thought the artworks illustrated their research well. New delivery of flies today. 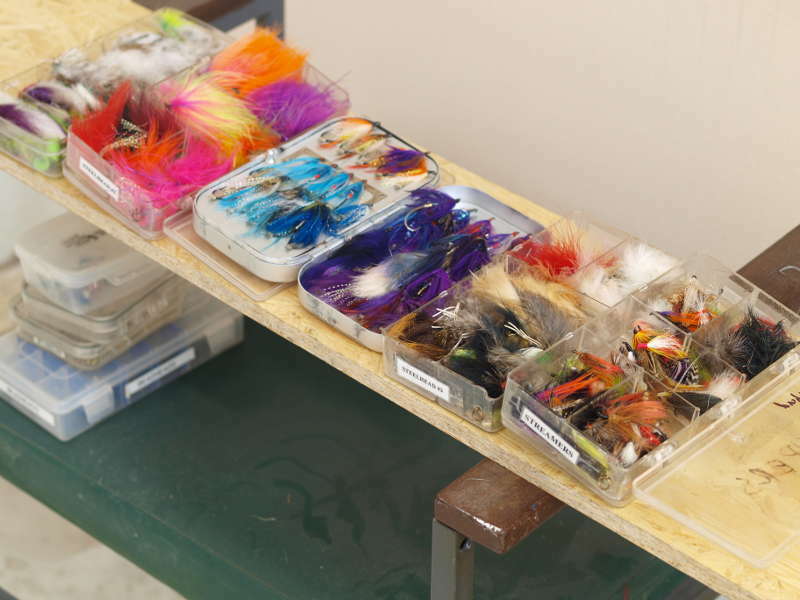 Colorful steelhead lures mostly. Many thanks to Rob Kessler, fishing guide extraordinaire. 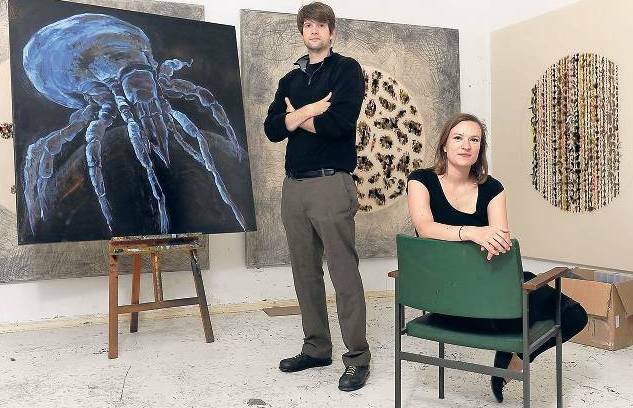 My colleague from the WerkStadt, Nadine Lorenz, and I were interviewed and photographed for a 3/4 page article that featured last Friday in the culture section of the Tagesspiegel - the highest circulated Berlin daily newspaper. The article covers work on various projects of the WerkStadt, a valuation of it in the current arts landscape from the perspective of Berlin-Neukölln cultural politics, and differentiates what we do from the spectre of gentrification often associated with the new look at Neukölln as a creative quarter; not just a problem area in the heart of Berlin. The article was part of the media run-up to the 48 Stunden Neukölln festival that last weekend had 320 participating locations and 1700 artistic events.